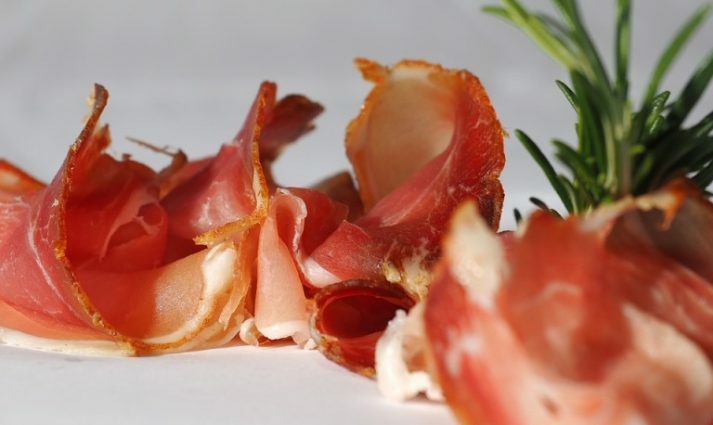 Oh, love…whether you’re in love or simply just loving life this Valentine’s Day weekend, get out this 2nd Saturday and take in the artsy and bacon-filled happenings around Sacramento. Before I begin my monthly adventure, I’m going to need to fuel-up, and preferably with bacon. 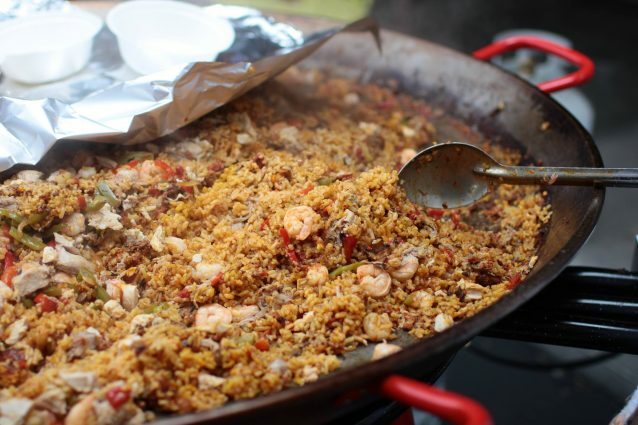 To celebrate the tail end of Sacramento Bacon Fest 7, I’m going to head over to Selland’s Market-Cafe and enjoy some paella on the patio, bacon dogs, and a Bike Dog special release brew. After I’ve given my taste buds a treat, I’ll head over to R Street to check out the current exhibits are both Sparrow Gallery and ARTHOUSE on R.
Featured at Sparrow Gallery is “HEAT: Force of Nature.” This exhibit features the work of two women, Shannon Amidon and Jaya King. Amidon, an award-winning artist from San Jose, creates mixed media artwork primarily concentrating on encaustic painting (painting with pigmented heated beeswax). 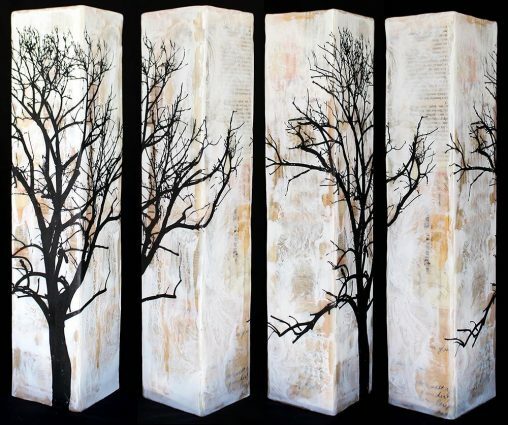 She incorporates natural, upcycled and repurposed materials into her artwork, breathing new life into objects that would otherwise be destined for a landfill. King is a California native based out of Sacramento. 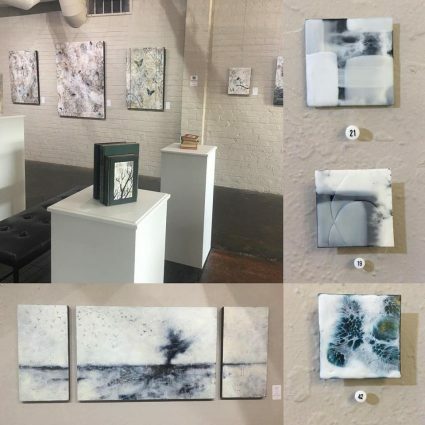 Her dynamic encaustic semi-abstracts marry both balance of technique and personal connection to the viewer. 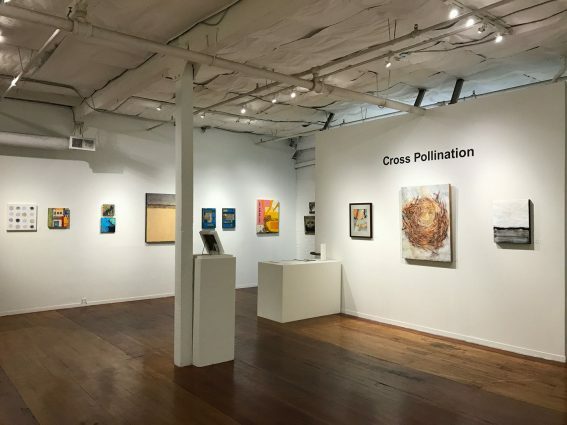 ARTHOUSE on R’s “Cross Pollination Exhibit” features the Sierra Wax Artists, a Northern California encaustic art group. The show will provide a glimmer of encaustic’s wide range of aesthetics and media combinations. Love is a verb. It’s an action we have to practice and celebrate it every day. My next stop of the day will be to check out the Love is a Verb event at Elks Tower. Local artists, including Melissa Uroff Millner, Alex Trujillo, and Raul Mejia, will come together to create masterpieces that celebrate the verb. My final stop of the evening will be to Canon (one of my new favorites places) to try their Bacon Fest late-night happy hour menu special, a bacon-centric breakfast cuisine served dim sum-style. Looking for more artsy outings to attend? Check out the 2nd Saturday page on Sacramento365! Whatever you choose to do, be sure to use the hashtag #Sacramento365 to share your adventure with us. Also, check out and download In the Sac App, which serves as the guide to all the best local farm-to-fork restaurants, libations, coffee, murals (from this year’s Wide Open Walls), and event recommendations (powered by Sacramento365) on the grid. Download the latest version of In the Sac App in the App Store or Google Play Store.